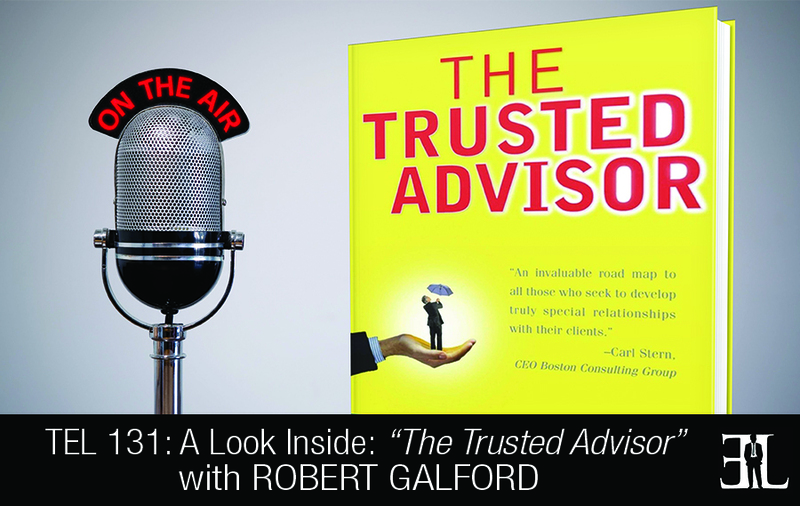 In this episode Robert Galford takes a deep dive into his book, The Trusted Advisor, where he, David Maister, and Charles Green give you the ultimate tool for all consultants, negotiators, and advisors. In their book, Galford and team share a practical, five crucial steps you need for developing, managing and improving client confidence. The goal of the book is to teach you the fundamentals of professional service management and customer relations helping you become one of the most trusted advisors in business while improving your ability to influence clients. This book is perfect for entrepreneurs seeking business partnerships or professionals in the consulting field who are both hoping to improve their interpersonal communication and negotiation skills. When we started to look at this topic there were a lot of books out there on pure selling but we wanted to take it to a different higher level. We explain the key things that will make you a more trusted advisor to clients and customers. There are a couple of key concepts in the book and you can dive in where needed. It would certainly be naming it and claiming it and there are three factors there. One is acknowledging the difficulty of raising the issue. The second is to expect some responsibility for raising it and sometimes you even have to apologize. The differentiator of trust is how to get people to tell the truth even when the topics are not easy. The fundamental element of the book is to be able to jump in and ask people where they in the four elements of trust, credibility, reliability, intimacy or reduced by the other persons perception of yourself interest. From there we introduce the five skills that we identified as the people who are real trust builders. They have an ability to engage people, to listen to people and what they say, they have an ability to frame issues in a meaningful way, and help people envision what might be, and lastly they have the ability to get people to actually do what they know they should be doing. We then introduce the key tools that great trust builders have. They are things like making sure that you have a level of a connection with someone. And we talk about the contact contract and keeping to a schedule. The most important tool that I would point to is where relationships and trust is built and we refer to that as naming it and claiming it. And that’s how to address particularly difficult or uncomfortable situations that might arise or have arisen. I am one of the co-authors of The Trusted Advisor along with The Trusted Leader and Your Leadership Legacy. I spend my time writing, teaching, consulting, and advising on topics of trust and trust related elements for people who are running businesses at senior levels. Our inspiration was very much the fact that we saw a lot of people who were very good at what they did in their jobs, companies, and professions. But we wanted to know what differentiated the ones who were truly successful. What made the difference for someone who was not just a lawyer but a great lawyer? We found that it wasn’t about their competence in their task or their role; it was about their ability to build trust with their clients and their customers.